While in New York last month for Salon, I got a chance to visit Miriam Ellner's new studio in West Chelsea. High on the 12th floor of a converted factory, the studio's giant windows fill the space with city views as well as plenty of natural light. 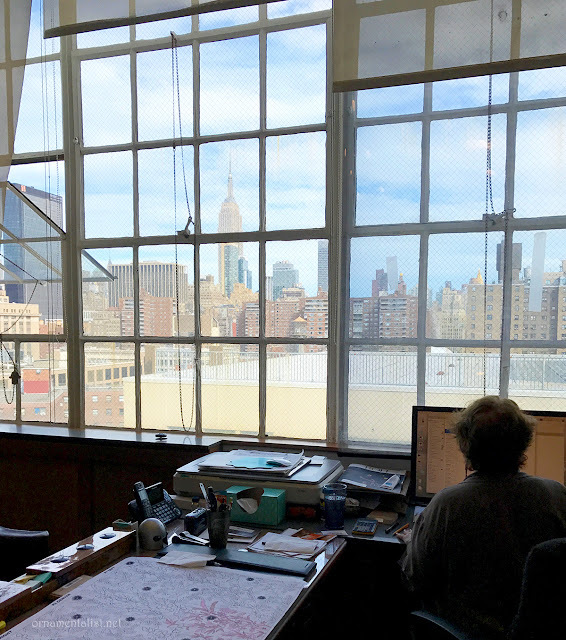 The light-filled and airy workspace in Miriam Ellner's new studio. Indirect light fixtures are used over the work tables, which reduce the glare on the glass. 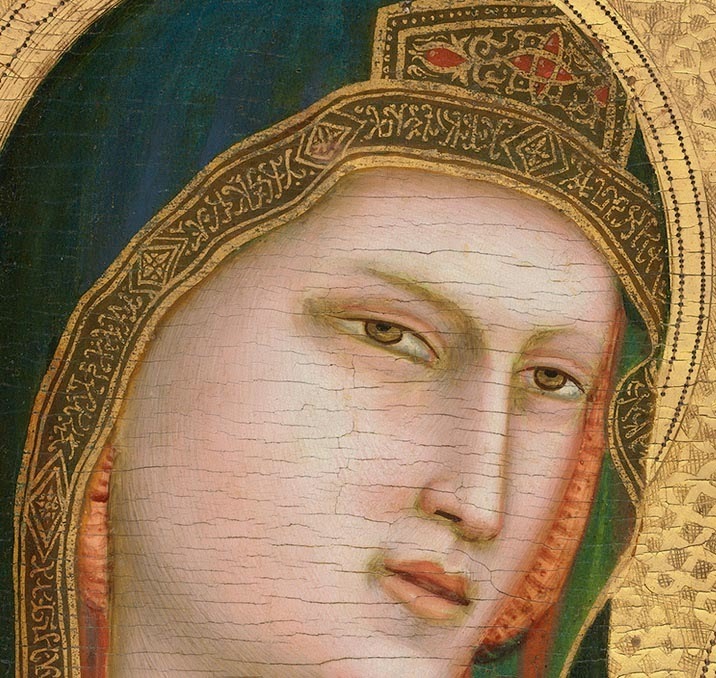 Verre églomisé refers to gilding and painting on the back of glass. 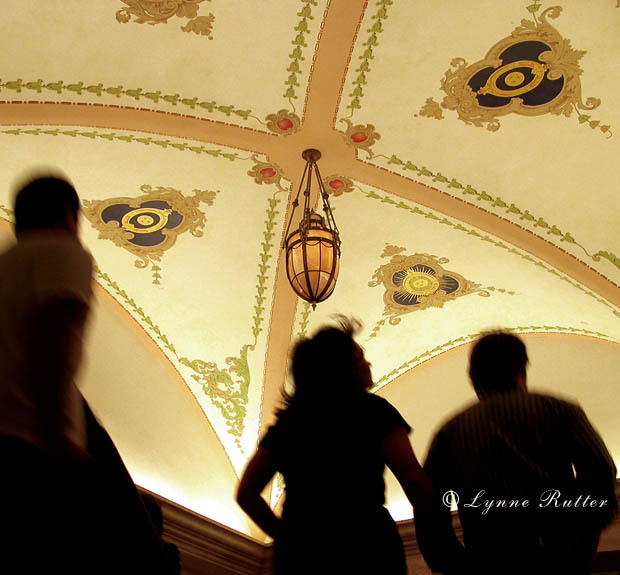 Everything must be designed from the finishing touches working backwards to the "base." This is exacting work that requires immense skill, technical knowledge, and at least as much planning as vision. And it's incredibly beautiful. Miriam Ellner's work is astonishing in its level of craft and inventiveness. 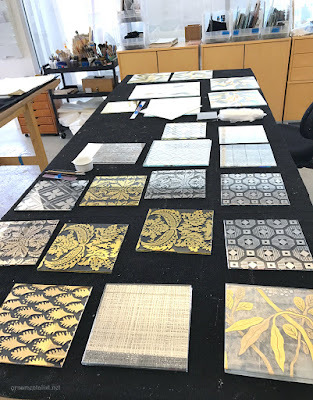 Through hundreds of commissions and thousands of samples, she has developed techniques for creating beautiful effects on glass that have earned her an international reputation among the most distinguished design professionals as a master artisan as well as an innovator in the art of verre églomisé. 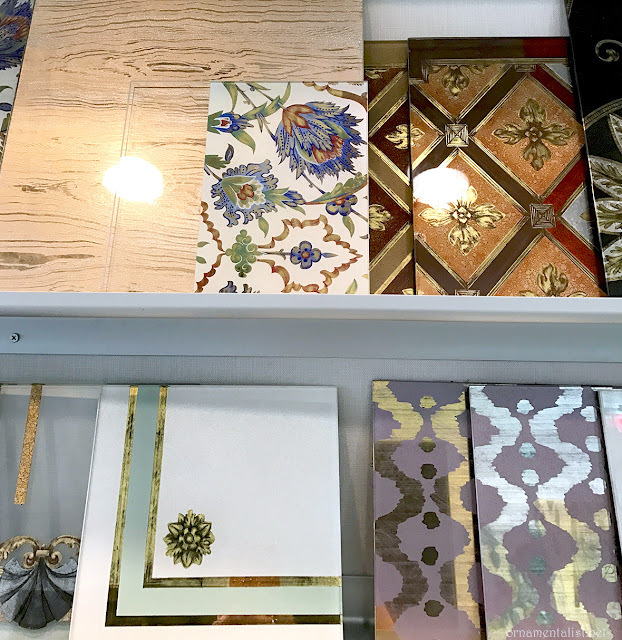 Once reserved for mirror frames, table tops, or decorative wall panels, verre églomisé is now being used as an integral part of design rather than as a precious accessory. 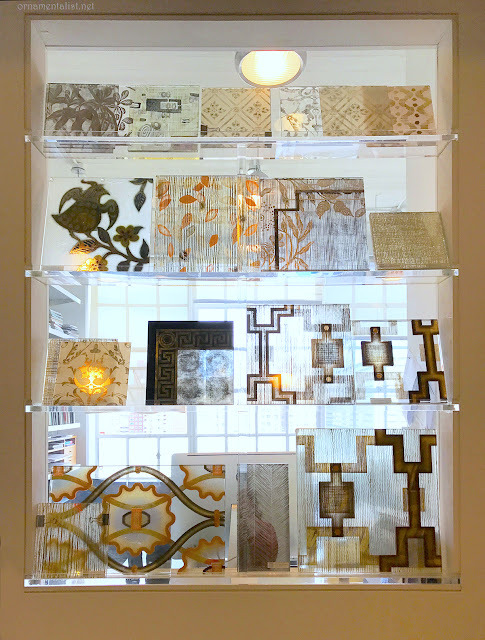 Miriam Ellner has pushed that boundary throughout her career, creating translucent doors and windows, covering entire ceilings, or why not the entire room? Although, I haven't seen her design a floor... yet. Having trained as a decorative painter at the prestigious Institut supérieur de peinture Van der Kelen in Belgium in the late 1980s, Miriam's abilities as a painter added ingenuity to her work once she took up églomisé as part of her practice. By the mid-90s she was working exclusively with glass as her medium. 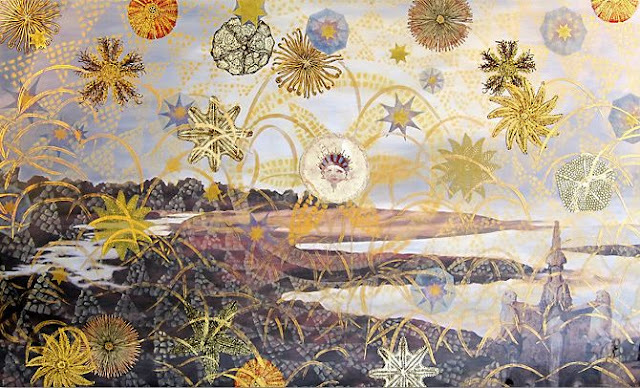 In more recent years she has taken this work leaps further, using new techniques, multiple layers of gold, layers of glass laminated together; designing pieces to be translucent, or to be viewed from either side, adding layers of intricacy and indeed endless possibilities. Each project requires many samples and an immense amount of planning and logistics. Managing Director Wiley Kidd keeps the atelier running with aplomb. A small team of skilled artisans help to produce the commissions. Glass fabricators, gold beaters, and of course the architects, designers, and patrons also play a role in the creation of this work, which is in the end so much greater than the sum of its parts. 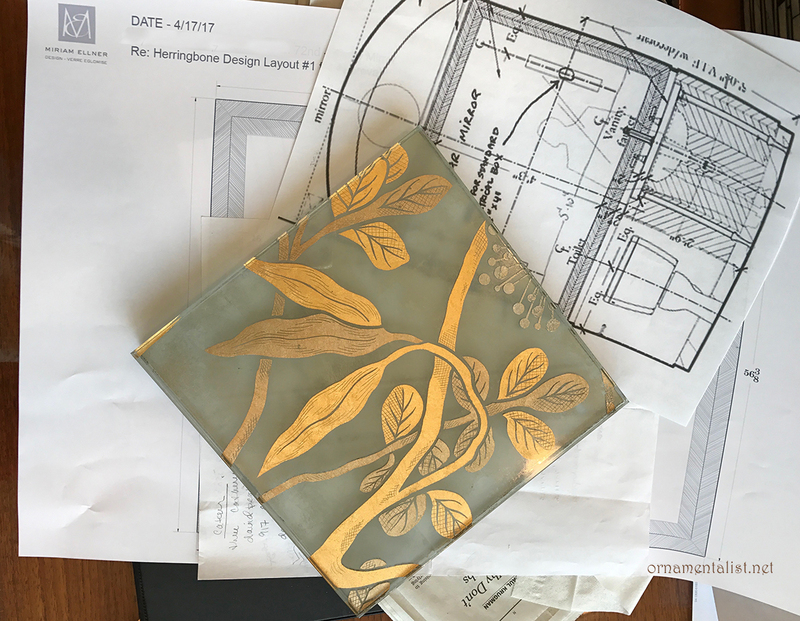 Design ideas are fueled by ornament of every period, and patterns from every source imaginable, and a library of books covering an entire wall of the office, "and that's not the half of it," she tells me (and I believe it, being a book hoarder an avid reader myself.) In addition to the traditional materials used in églomisé - gold and metal leaf and paint - Miriam incorporates mica powders, glass beads, crushed abalone shell, and other unusual materials to create interesting surfaces and effects. This in turn inspires more creative and contemporary use of the medium itself. The dimensional quality of verre églomisé lends itself to artistic exploration. Miriam Ellner refers to her artwork as "moving paintings:" because of the depth of the glass and layers of gold and color, the surface changes appearance at different angles and in different light, and as you move past. So I mean 'dimensional' in both the physical and the temporal aspect. I was fortunate enough to have had the opportunity to learn from Miriam during two workshops through the Society of Gilders years ago. I humbly tip my most bejeweled tiara to Miriam Ellner-- Meeting this artist - and this medium- has altered the path of my work as well as inspired my art practice. What an amazing studio! Her work sets the bar for the industry. Thanks for sharing this experience. Yes it's a really special studio and totally conducive and creating something new! 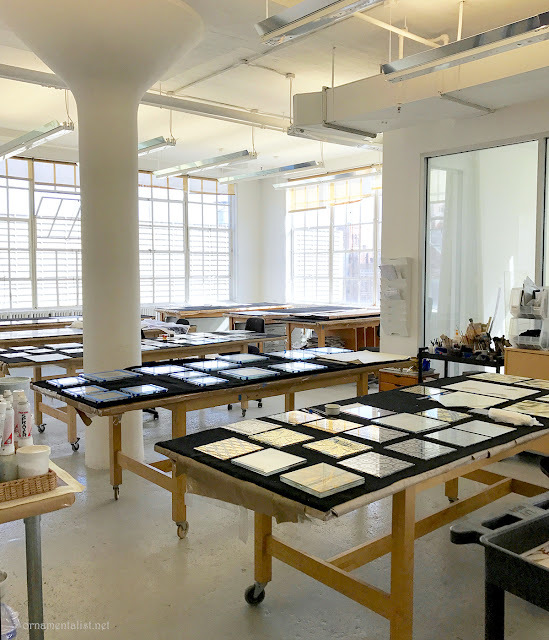 Thank you for sharing Miriam Ellnor's studio and her gorgeous work. I believe it's the first time I've seen different colors of gilding used together. You are right, mixing he colors of gold leaf might be considered unusual. For me using more than one color usually comes from not being able to decide between them all. There are many karats colors and types of gold from which to choose!